Merry Christmas and Happy Holidays! I am so grateful to have had the pleasure to work with you. You really helped me to see that I need to value who I am and what I bring to the table. My gift to myself is to value who I am and remember it throughout my journey. Happy Holidays! 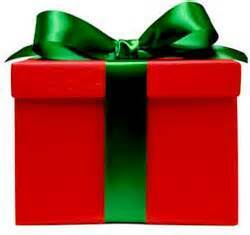 ~ Maria S.
Now that the gift-giving to others has just about passed, what is your gift to yourself this coming year? What do you need to understand, grow, heal, and achieve to be the most peaceful, prosperous healthy you can be? How can you get there? If you’d like some guidance and support along your journey and have been thinking about working with me, now is a great time to do so – and I’m making it easy with a $50 discount on any of my services when purchased by this Wednesday, December 31st. I know you will make 2015 your best year yet. I hope to have the honor of helping you to see and value what you bring to the table, determine and accomplish your career/life goals, and become exactly who are you are meant to be! The good news is from now on the days will be getting progressively longer and bright. It’s important at this time of year to get all the literal sunlight in you can – think of the rays as vitamins for your mind, body, spirit and soul, a lack of which can alter our moods as anyone with SAD will attest. In addition to the actual light, it’s also a good idea to keep things as ‘light’ as possible – do a little dancing (even if just around the house) or Zumba and be sure to laugh a lot. At the very least you will make others smile when they see you sunbathing in 29 degree weather! As we approach the end of the year, it’s also a good time to shed some light on what you’ve accomplished this past year. Many of my clients are in career transition, so it’s easy for them to feel as if nothing has happened; or if you are just going about your business from day to day, it’s easy to lose track of what has actually transpired over the past 12 months. So make sure you spend at least a couple of hours over the next week or two with your journal and calendar to jog your memory to see what external things you experienced and accomplished this year, big or small. Then let them help you recall how you have grown and what has changed for you internally for you as well. What mental and/or emotional shifts have occurred, in terms of your perceptions of yourself, your life, your work, and your relationships? How have they affected some of the external actions you took or that happened to you? How can you bring more light to your world and the world around you? Having a little trouble seeing the proof in the pudding of how far you’ve come along? I can be a flood light, offer an objective point of view and a little push for you to see where you’ve been and where you want to go in 2015 and beyond. Just give me a buzz and I’ll light the way to a more peaceful and prosperous new you! As you know, I send out my PGG enewsletter every week and its purpose is twofold. The first is to provide a vehicle for me to express my thoughts and observations about what it means to be human in the modern world – my wish is that it gives you new insights about yourself, provides a different perspective on current events and/or simply lets you know you are not alone as you experience this journey called Life. Secondly, these emails keep you in the loop with the coaching and speaking services I offer, as well as inform you about upcoming appearances, articles and other tidbits that might be happening in my world of work. I don’t do a heavy sales pitch – I simply want to be on your radar when you are ready to start working with a career/life/executive coach; but occasionally I have to do a bigger plug for my passion! I was fortunate enough to have worked with you as a career coaching client earlier this year. Since our time together, and our talks, I have landed a job as general counsel for a not for profit organization here in New York City. When we worked together you mentioned that you had a feeling I was meant for a larger destiny — that I was meant to be doing work for the betterment of others, and that I was meant to lead large groups of people. My work in the not for profit realm will combine those two things, and I feel in my gut that amazing experiences lie ahead. Now, the world is my oyster. Your coaching and influence had a profound impact on me, and I wanted to take a moment to express my deep gratitude to you for being a guiding light. ~ Vanessa M.
I did it!! I followed your advice and recommendations on ways to get in touch with my true self. My heart is alive and racing….my ego almost talked me out of it but I’m in. I signed up for the volunteer project and registered for the class we talked about. Thank you Kristina for believing in me and inspiring me to take action! You’re wonderful and so good at what you do. ~Joann S.
I can honestly say that speaking to you was one of the most important events in my life. It is almost unbelievable how a 2-hour conversation can have that effect. ~ Bozhanka V.
So as you think about turning to a brand new chapter of your life in the New Year or just want to move forward in your career, I’m here to help with a $50 discount to use on any of my services between 1/1/15 and 3/15/15 when purchased in full by 12/31/14. Use it for yourself or perhaps offer a session(s) as a gift to someone you know might benefit. Whether coaching, speaking or writing, it is always my intention to provide the clarity, balance and direction you need in order to make your life the most prosperous and fulfilling it can be so that you can create peace in your piece of the pie. I look forward to working with many of you in 2015 and beyond to make that goal a reality.